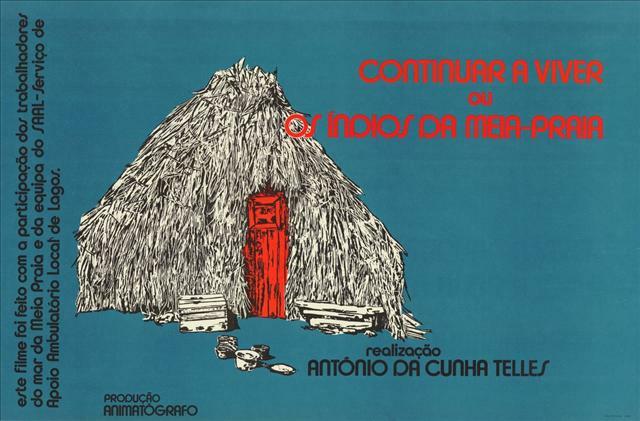 Born in 1935, António da Cunha Telles studied Medicine in the University of Lisbon. He went to Paris around 1956 and studied film-making at the Institut des Hautes Etudes Cinematographiques (IDHEC), graduating in 1961. Back to Portugal, he ran a newspaper called Imagens de Portugal (Images of Portugal), and assumed leading functions at the Cinema Services of State Entities. His directing debut was made with the documentary « Os Transportes » (1962), and started activity as a producer, becoming one of the essential names of the Portuguese New Cinema (Novo Cinema) movement. He produced « Os Verdes Anos » (1963) by Paulo Rocha and « Belarmino » (1964) by Fernando Lopes. In 1970, Cunha Telles directed his first feature-film, « O Cerco ». Meanwhile, he established a distribution company (Animatógrafo) which became responsible for a revolution in the kind of cinema seen in Portugal in the first half of the 70’s. Eisenstein, Tanner, Jorge Sanjines, Littín, Glauber Rocha, Vigo, Gilles Carle, Karmitz, among others, became more familiar to the Portuguese audience through that distributor. During the 70’s, Telles directed three films : « Meus Amigos » (1974), « Continuar a Viver » (1976), and « As Armas e o Povo » (1975) together with other directors. In the end of the decade, he was became the leader of the Portuguese Cinema Institute and the Tobis Portuguesa.